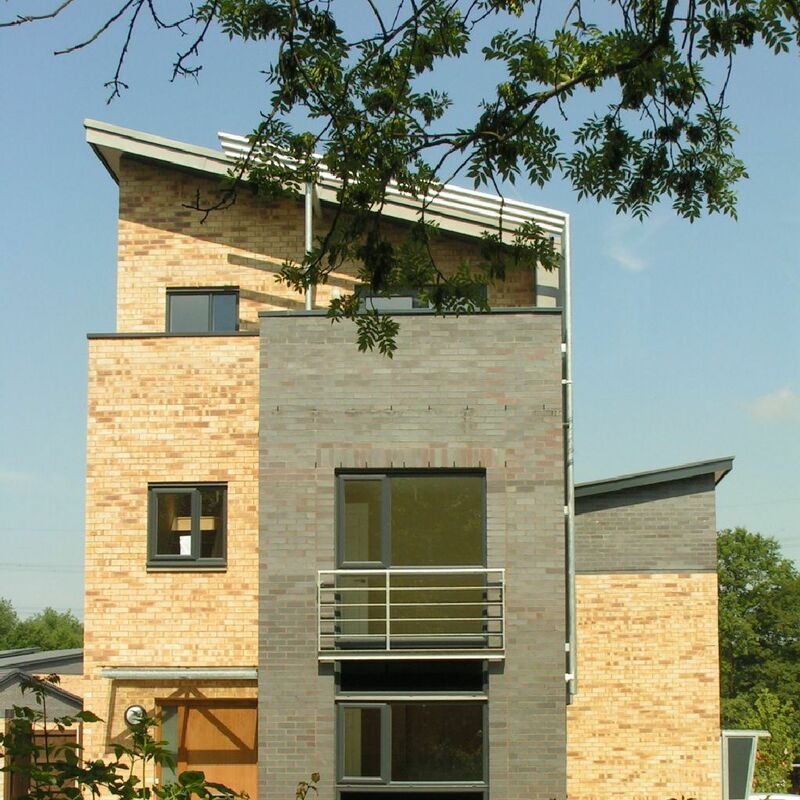 This boldly designed project illustrates the benefits of having a strong architectural aesthetic, using good quality materials and a mix of tenure and house types to create a lively, robust and varied scheme. 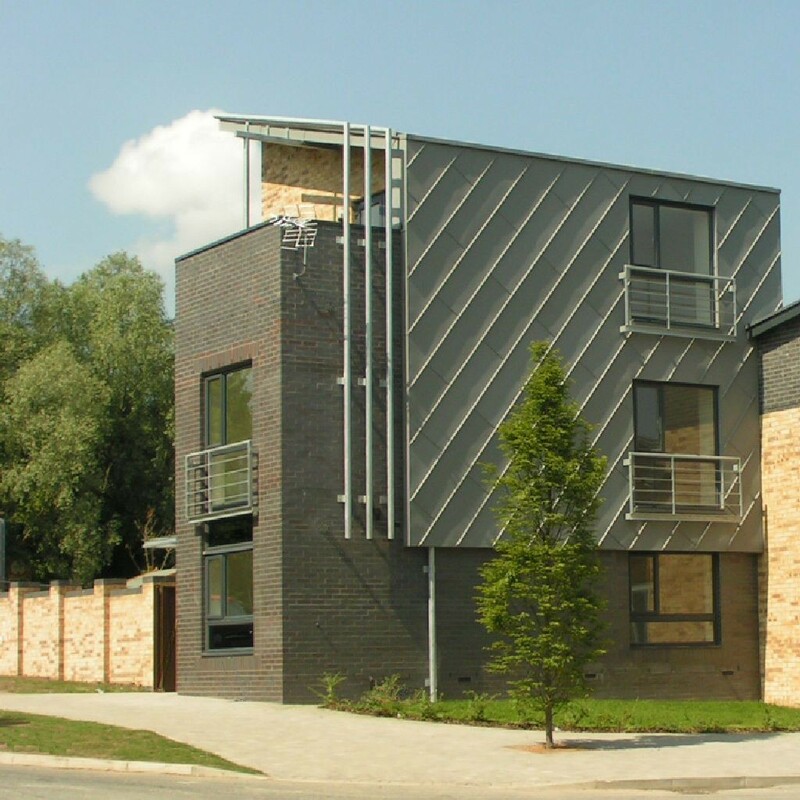 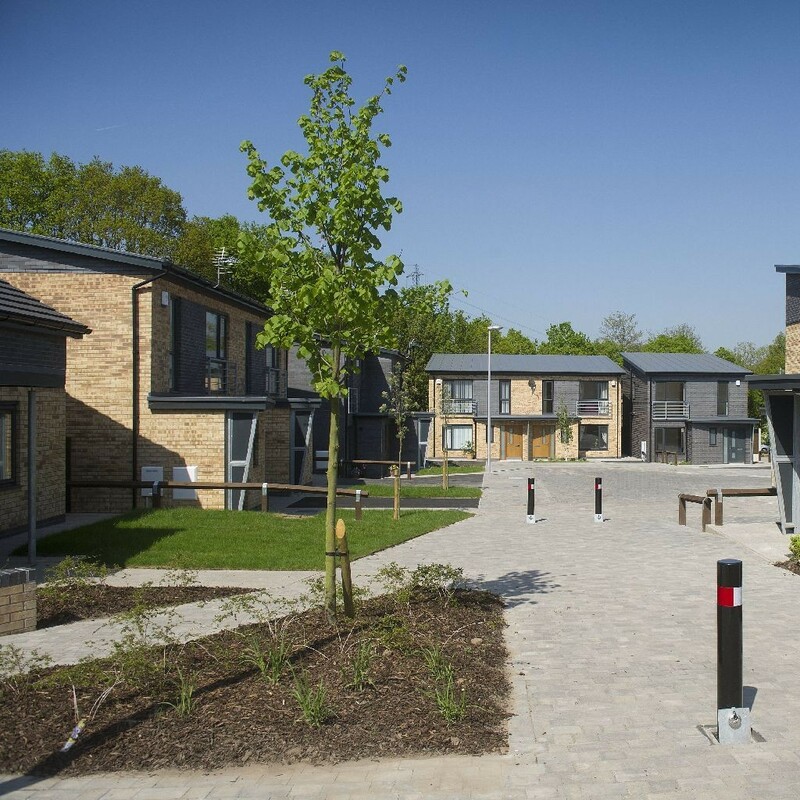 All units within the scheme have been designed so that visually they are ‘tenure blind ‘ and also to meet Level 3 Code for Sustainable Homes, Lifetime Homes and Secured By Design standards. 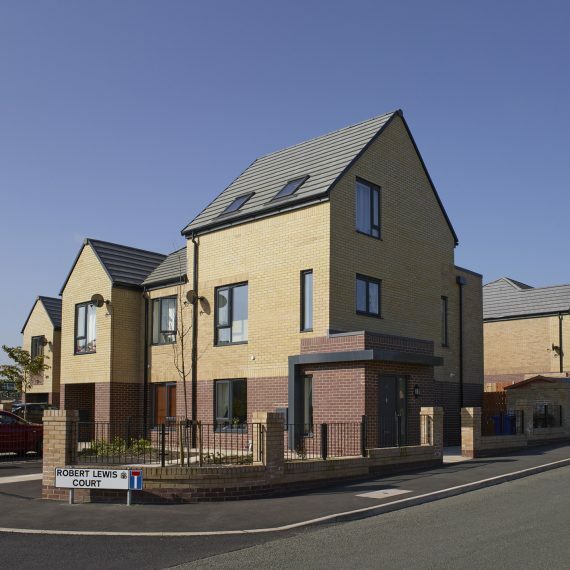 The construction of 38 houses for sale and for shared ownership as part of a larger overall joint venture development. 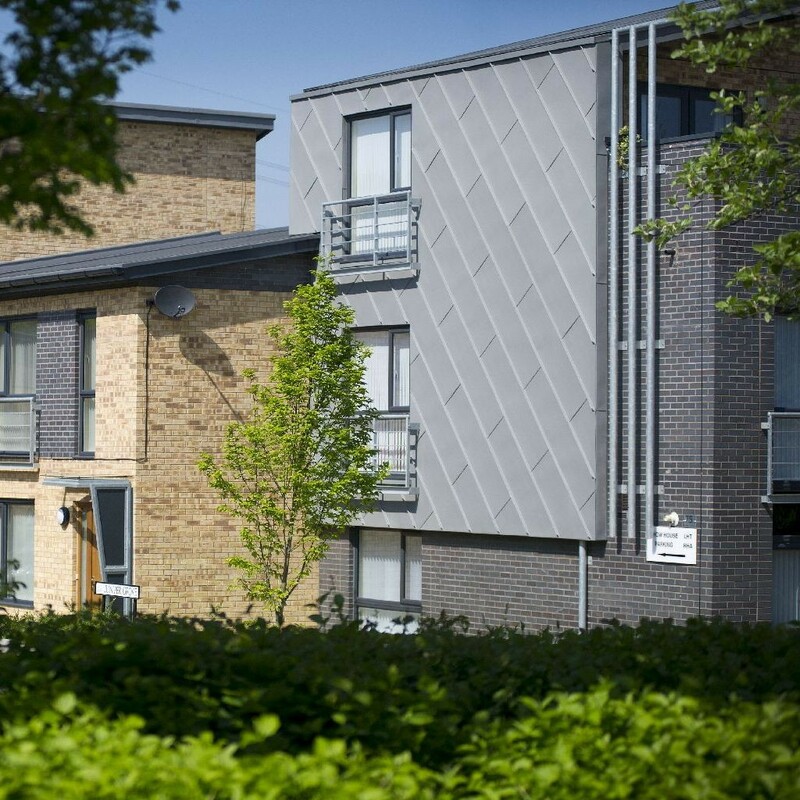 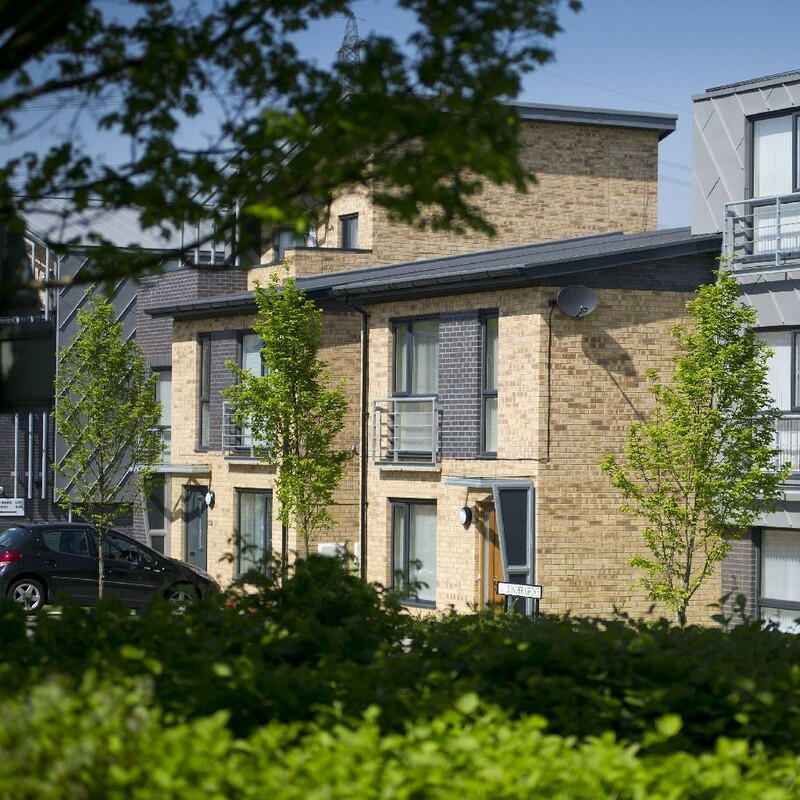 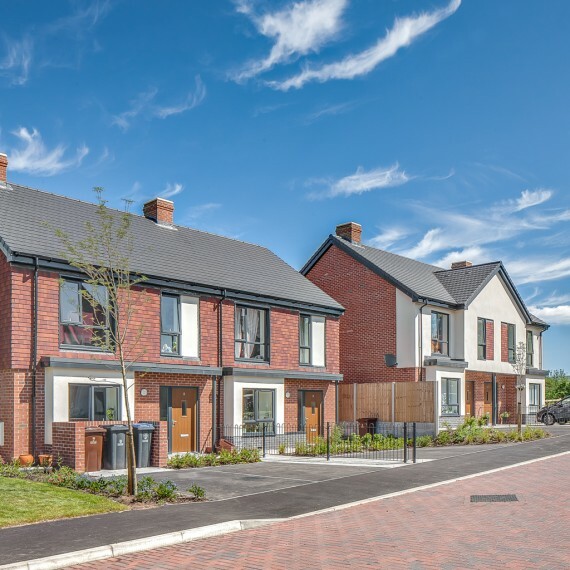 The completed scheme comprises a total of 38 units For Sale and Shared Ownership (out of 74 overall) and provides a mix of 2, 3, 4 bedroom houses and 2 bedroom bungalows and apartments. 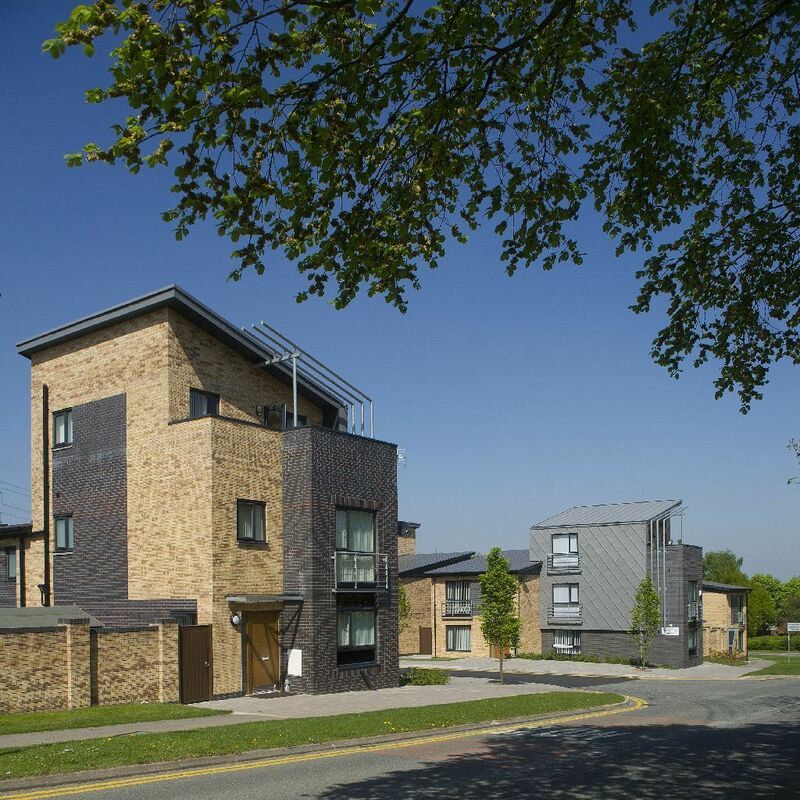 Integrate the scheme with its local surroundings via unit orientation, and use of ‘through vistas’ from within the site, to local landmarks such as the water tower and Daresbury Tower as well as the woodland backdrop. 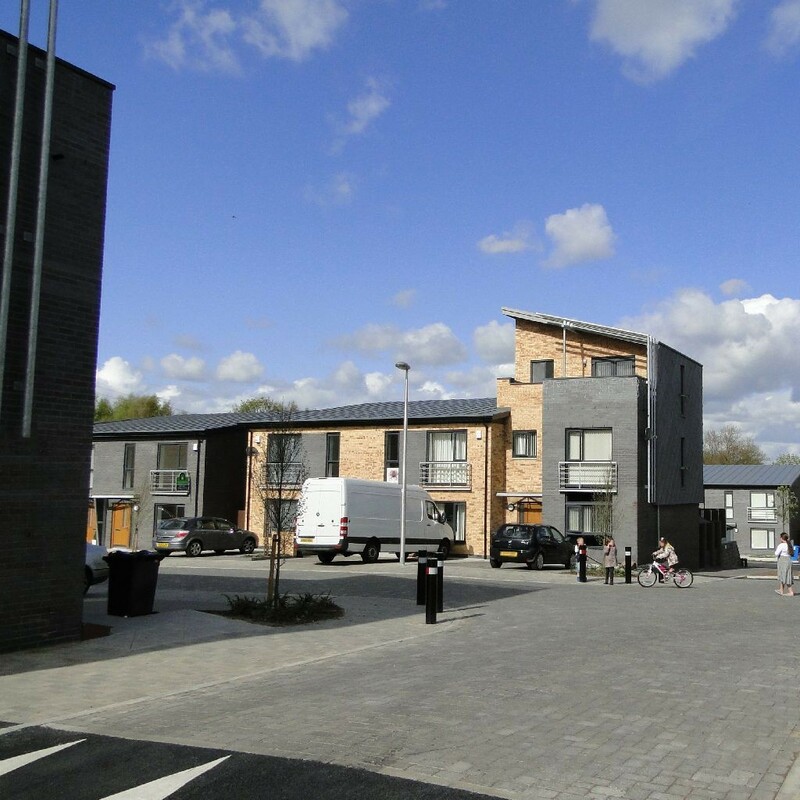 Use of varying heights to units throughout the scheme, to create focal points at key nodes, which act as points of wayfinding, within the scheme as well generating variety within the street scene. 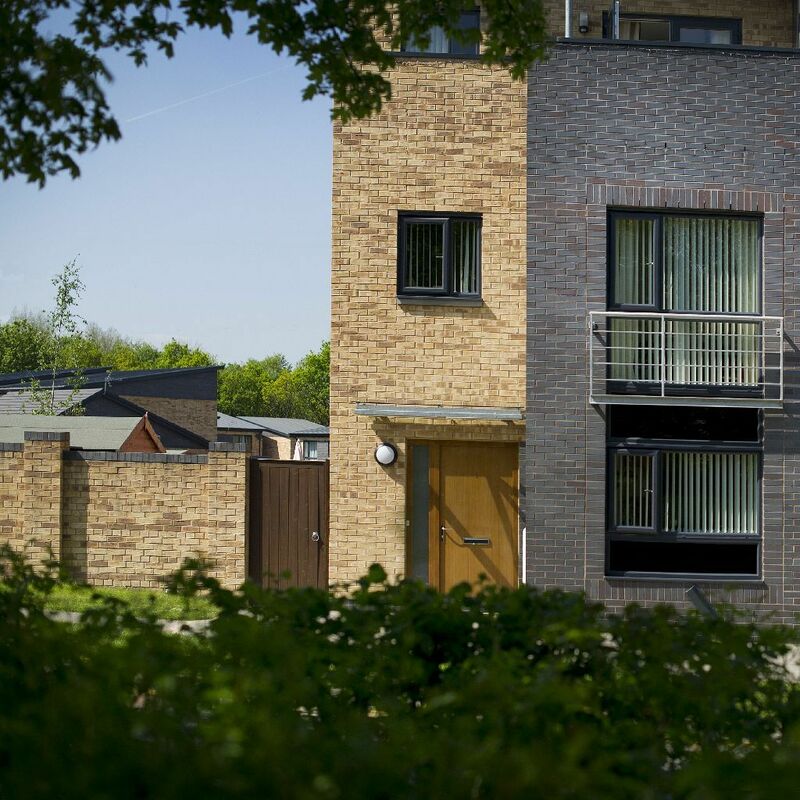 Create several sub housing areas within the scheme in order to reduce numbers of traffic movements and create varying public realms/ Home Zones which appear as open, spacious and child friendly. 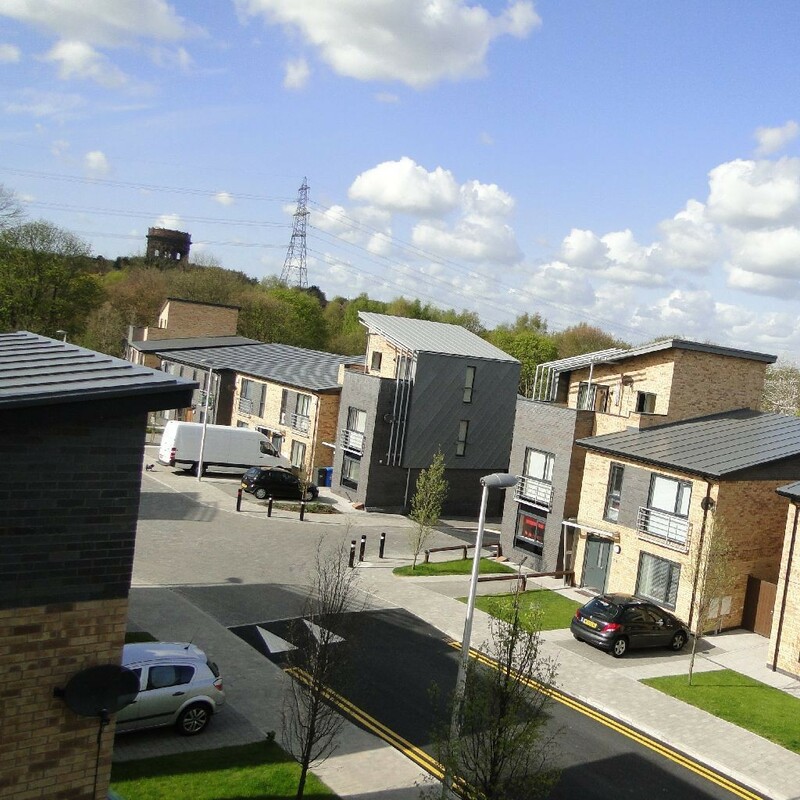 The modern style of the scheme reflect the general surrounding estates, which have all been developed within the last 30 years as part of Runcorn New Town. 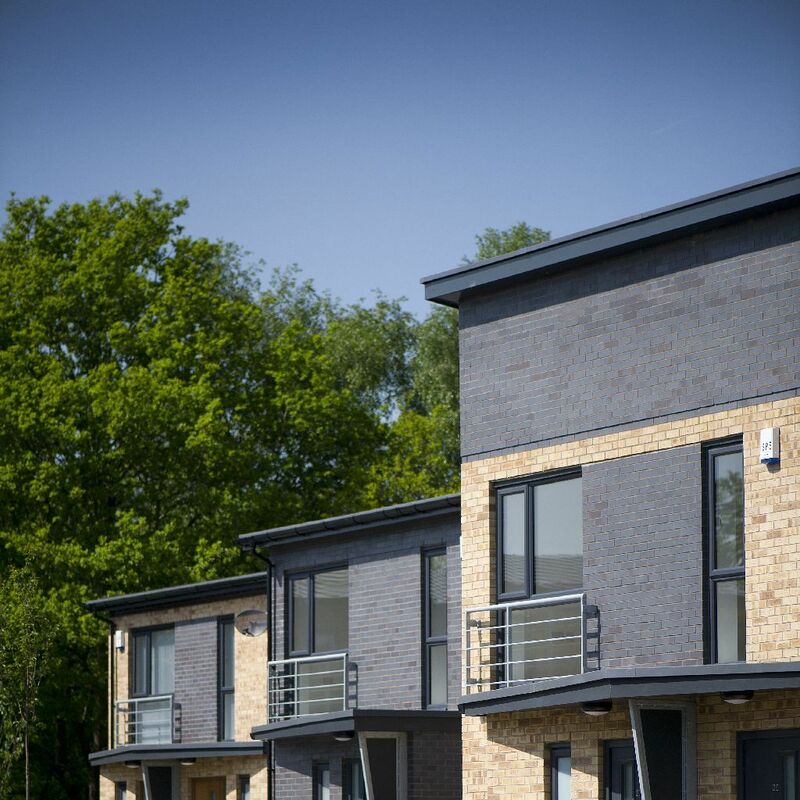 A limited but high quality palette of materials including brick, zinc and metalwork features to the elevations, coupled with the varying unit heights, create general street scenes and public realms that are both varying and stimulating. 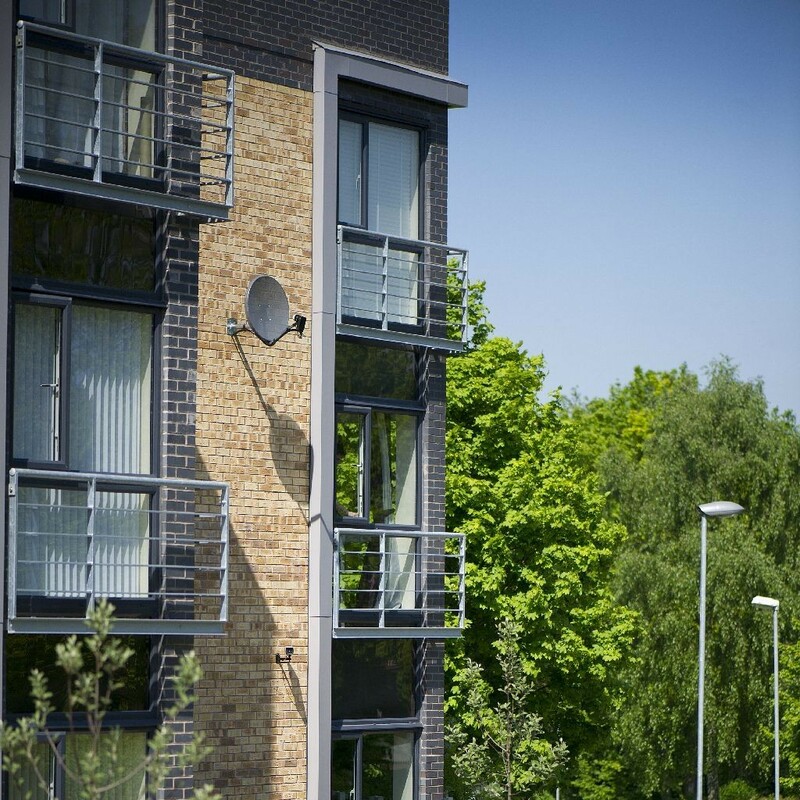 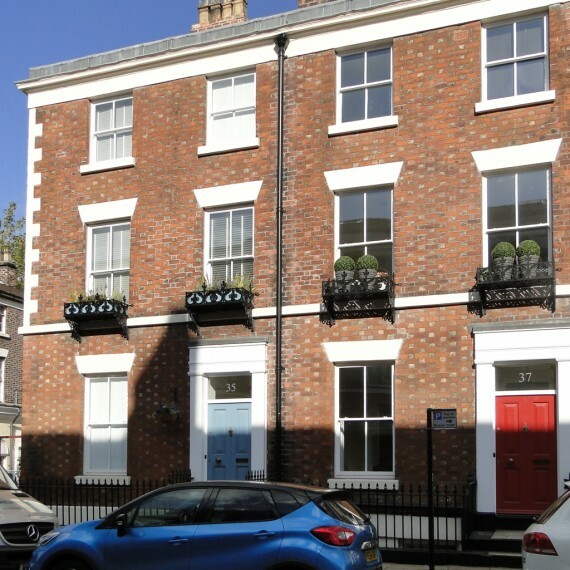 At the same time, all the materials used are durable and robust, ensuring reduced future maintenance issues, for both owners and Associations alike.